Poul Christiansen was born in Copenhagen, Denmark in 1947 and graduated from the Royal Academy of Fine Arts, School of Architecture in 1973. 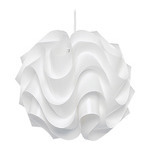 Since 1969, he was worked as a freelance designer and created some of his best-known lamp designs for the company Le Klint, as well as some for Herman Miller. 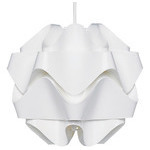 His memorable technique involved folding lamp shades in mathematical curves to create artful, unique sculptural shapes. 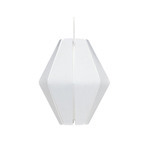 These lamps have been in constant production but are only recently experiencing a renewed popularity.